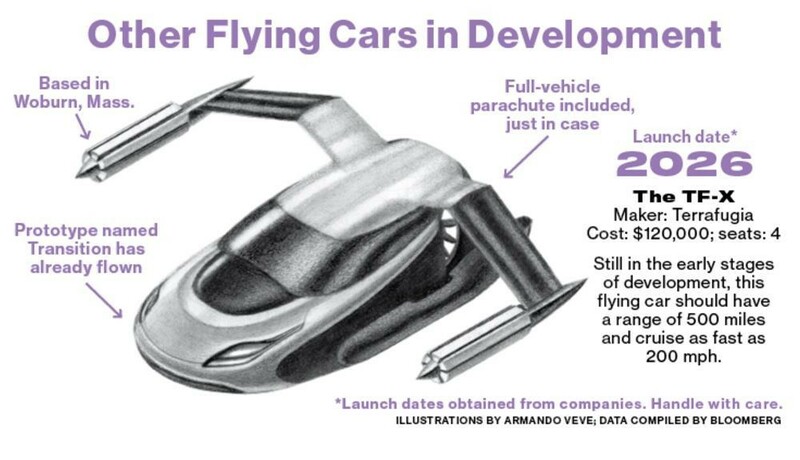 To recap Part I from last week, flying cars are quickly moving from the realm of science fiction to reality as 15 different companies race to get the first model to market. Along with the promise of faster, traffic-free travel, a host of novel(ish) legal questions exist surrounding this new technology. Given the safety and liability issues, I believe the federal and state governments should adopt the “Blade Runner Model.” While I will lay out the exact structure of this policy at the end of this article, the basis of my argument is that the government should strictly limit and regulate who can use flying cars—at least initially. As previously discussed, the Federal Aviation Administration (FAA) assuredly will control most aspects of flying car technology as it has the sole responsibility to “prescribe air traffic regulations in the flight of aircraft.” 49 U.S.C. § 40103(b)(2)(B). State governments, however, will definitely retain some powers related to this new air travel. So after considering the need for federal control over the safe and efficient rollout of this technology, the last factor weighing in favor of the Blade Runner Model exists in an area of control retained by the states: tort liability. Unlike preemptive regulations meant to prevent accidents, tort liability involves a retroactive look at how injured plaintiffs or the victims’ estates can recover damages resulting from flying car accidents and misuse. I believe that strict liability will likely be applied in the event of non-intentional flying technology accidents because of the inherent danger involved with air travel and any new technology (especially in the early stages). Because implementing strict liability will force flying car manufacturers to pay for any accidents involving their product, these companies should also support a limited rollout of flying car use (meaning less payouts) under the Blade Runner model as well. Don’t you just hate when your UberFlight driver doesn’t know the local airspace? Ugh. 3 stars. Although the Federal Aviation Act and its implementing regulations generally purport to control all aspects of a vehicle’s inflight activities, see 49 U.S.C.A. § 40101 et seq., courts have held that the Act does “not indicate a clear and manifest congressional intent to preempt state law products liability claims [and] Congress has not created a federal standard of care for persons injured by defective airplanes[. ]” Sikkelee v. Precision Airmotive Corp., 822 F.3d 680, 696 (3d Cir. ), cert. denied sub nom. AVCO Corp. v. Sikkelee, 137 S. Ct. 495 (2016). Accordingly, state laws regarding liability are applied to address damages when an individual’s person or property is damaged in the aviation context. Id. Even in federal enclaves, Congress has mandated that “a right of action shall exist as though the place were under the jurisdiction of the State in which the place is located” and “the rights of the parties shall be governed by the law of the State in which the place is located.” 28 U.S.C. § 5001(a), (b). So what standard of liability should apply to this new technology? Looking to the history of automobile and aviation liability in the U.S., we find our answer. In the early days of commercial automobile and air travel, accidents were much more frequent because as with any new technology, certain problems simply cannot be anticipated. See Speiser and Krause, Aviation Tort Law §§ 1:6-1:8, 8:44. Finding that there was “good reason to consider aviation ultrahazardous,” courts held that aviation-related accidents fell “into the category of blasting, of the storage of dynamite, of drilling for oil, of the escape of fire from trains, the peculiar dangers of each of which subject those engaged therein to liability without fault at common law.” Prentiss v. Nat’l Airlines, 112 F. Supp. 306, 312 (D.N.J. 1953); D’Anna v. United States, 181 F.2d 335, 337 (4th Cir. 1950) (“One who flies an aeroplane is opposing mechanical forces to the force of gravity and is engaged in an undertaking which is fraught with the gravest danger to persons and property beneath.”). Accordingly, airplane manufacturers were held to a strict liability standard. Expensive AND dangerous? Sign me up! Adopting the Restatement (Second) of Torts § 402A, states legislatures held these companies strictly liable when they sold “any product in a defective condition unreasonably dangerous to the user or consumer or to his property[. ]” § 402A(1). Even if “the seller has exercised all possible care in the preparation and sale of his product,” § 402A(2)(a), the inherent danger of air travel weighed in favor of holding those companies strictly liable. See also § 520A (strict liability for accidents caused by aircraft on the ground). Although early vehicle manufacturers like Henry Ford fought this stringent standard, courts were quick to reject their arguments based on the “broad socio-economic policy of risk-spreading” that underlies the strict liability regime. Michael W. Wilcox, Strict Liability in Tort Applied to Both Automobile Manufacturer and Retailer, 48 Marq. L. Rev. 268, 269 (1964). Applying this same standard to flying cars likewise makes sense. 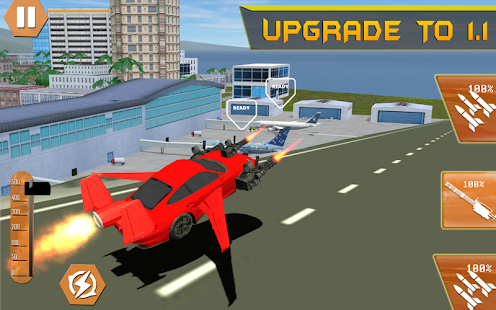 Early models of flying cars are likely to encounter software and mechanical issues that create similar ultrahazardous conditions during use. Manufacturers—always in a rush to mass-produce their newest technologies and reap profits—will obviously endeavor to make them as safe as possible; however, no amount of due diligence or testing will prevent at least some flying cars from falling out of the sky. Other considerations “include the unequal distribution of the benefits and risks of aviation between those in the air and those on the ground, the difficult and expensive burden of proof faced by the plaintiff in an aviation accident case, the ability of the aircraft owner to spread the financial risk through its enterprise or through insurance, and the high degree of harm that ensues, despite the exercise of due care, when an airplane crashes.” 73 A.L.R.4th 416. Recognizing (1) the various policies pertinent to early vehicular travel and (2) the need to pressure companies to create the safest product possible, states should quickly adopt strict liability statutes in anticipation of greater flying car usage. Well, everyone knows Flying Cars land on vertipads. What this book presupposes is… maybe they don’t? Early adoption of the strict liability standard will also give guidance to the insurance companies that will inevitably provide coverage for the flying vehicle manufactures. Clarification is certainly necessary as to whether a flying car is considered an aircraft or an automobile (in the state-specific insurance context) to address the scope and coverage of insurance before, during, and after the transition from road to sky. See Matthew G. Berard, Flying Cars: The Reconciliation of Aircraft and Automobile Insurance Policies, 47 Tort Trial & Ins. Prac. L.J. 781, 801 (2012). Without such clarification (which likely could be directed by federal regulation under the FAA’s congressional mandate), insurance companies may be hesitant to create comprehensive coverage schemes that are financially reasonable and adequately cover foreseeable and unforeseeable issues and accidents. The federal government could also preempt the entire liability field, if it so chooses. Under that scenario, Congress should adopt something akin to the Montreal Convention, see 149 Cong. Rec. S10,870, which mandates that “[t]he carrier is liable for damage sustained in case of death or bodily injury of a passenger” during international air travel. Art. 17(1). This makes perfect sense in the context of flying cars, which are not restricted to staying on the road and can presumably avoid border crossings unlike conventional automobiles. Furthermore, federal control over liability would streamline the entire flying car regulatory scheme with liability and safety measures included in one comprehensive statute. The most obvious upgrade for police vehicles: Gatling guns. Taking into account these safety, efficiency, and liability issues inherent in the implementation and integration of flying cars, the Blade Runner Model makes the most sense. With federal safety regulations and a strict liability regime in place, state and federal government emergency flying vehicles would be the only ones initially allowed to navigate the streets and airspace. 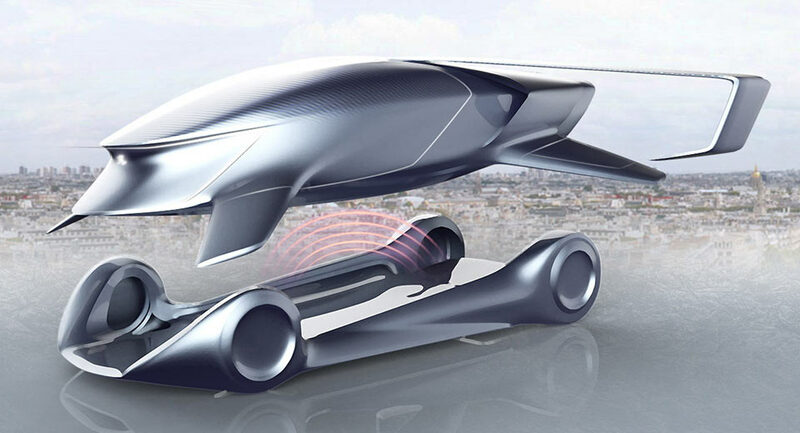 Once safety and technical issues have been sufficiently addressed, use of flying vehicles for mass public transit and commercial product transport could slowly introduced. Only after these major issues have been definitively sorted out by the government during this initial period should we then allow private vehicles to take flight. Otherwise, the rollout of flying cars is likely to be simply too costly, noisy, and dangerous to justify the value they represent. Strict Liability for Fish Oil Dietary Supplements Tainted with Terrigen Crystals? What is Iron Man and Hulk’s Liability for Creating a Murder-bot?